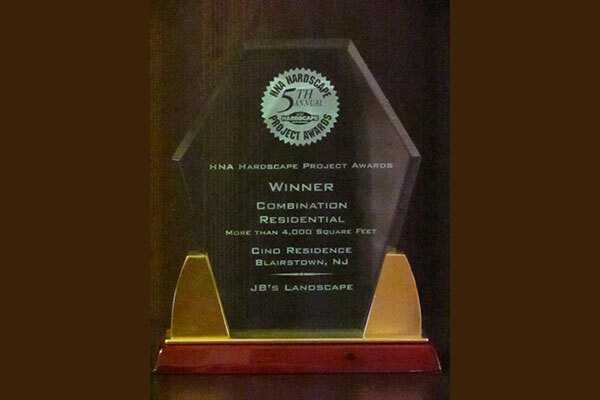 Having a carefully planned landscape is common in every New Jersey home, not because it is fashionable, but because residents have become aware of the many advantages that it provides in their everyday lives. 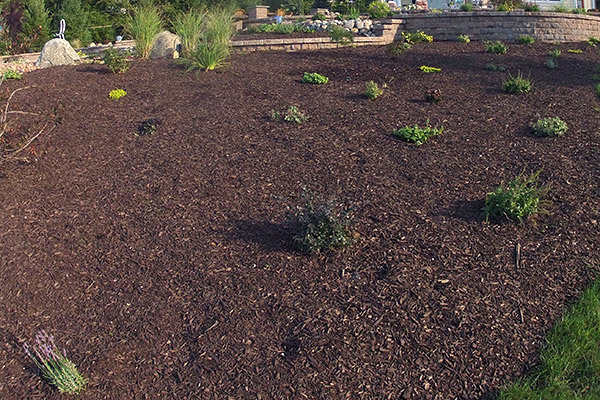 And one way of improving the looks and functionality of their outdoor areas is through mulching and plantings. Safety. 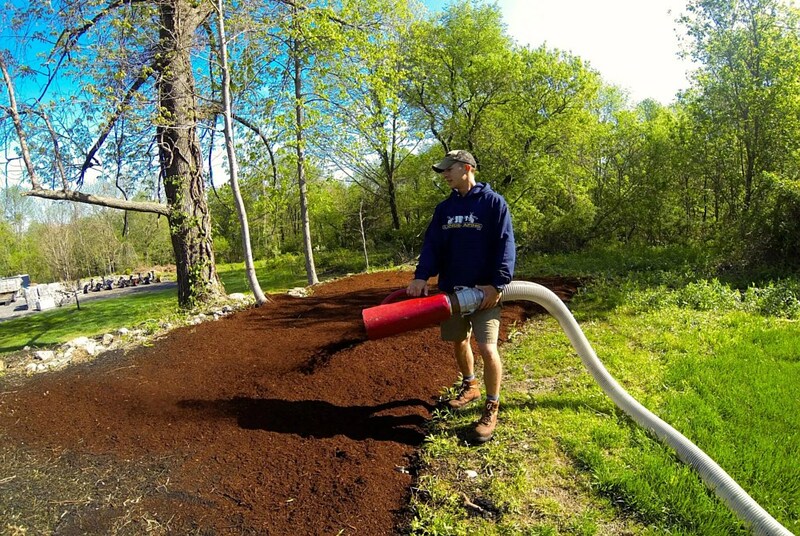 Organic mulches do not contain any chemicals since they are made from natural materials. Thus you won’t be worried about your kids or pests ingesting or touching toxic substances. Beauty. 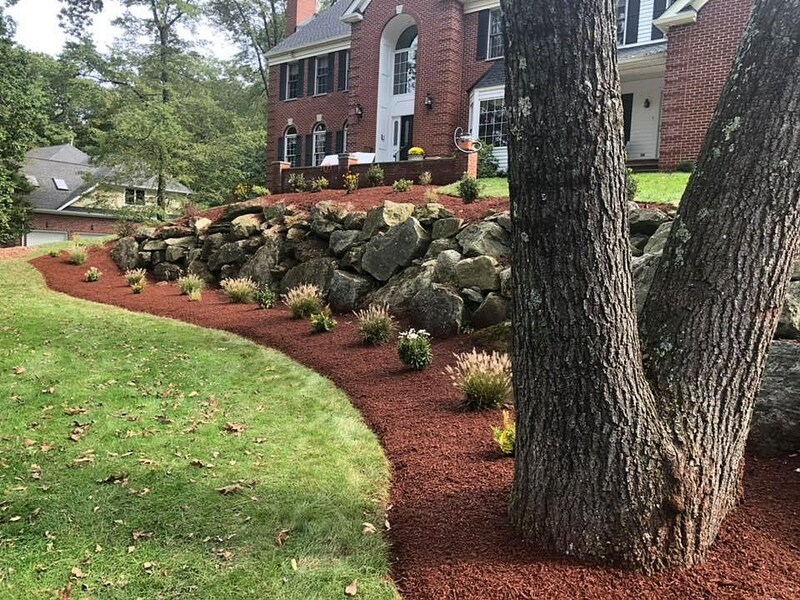 Don’t think that organic mulches just look drab and gray. 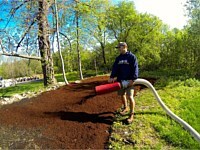 They can be colored with natural dyes that can blend with the existing colors of your landscape. Environmental friendly. 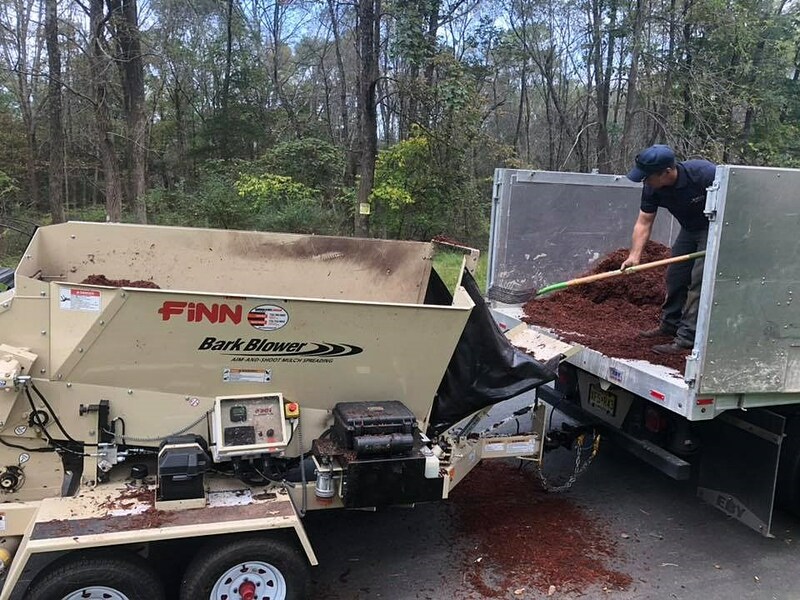 Organic mulches, as said earlier, do not contain harmful chemicals, so you won’t feel guilty about harming the environment. 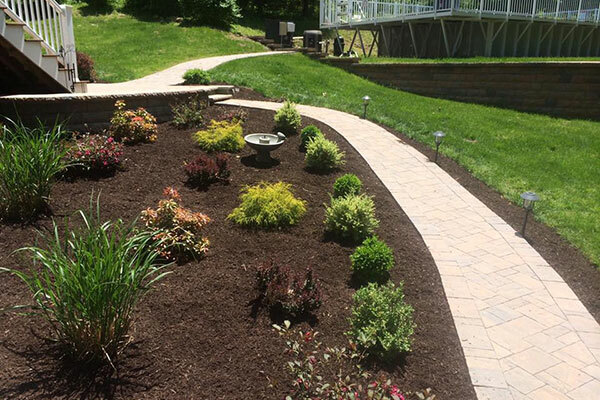 We know which plants need more sunlight or more water, as well as those which can grow best in specific areas of your landscape. Groundcovers. 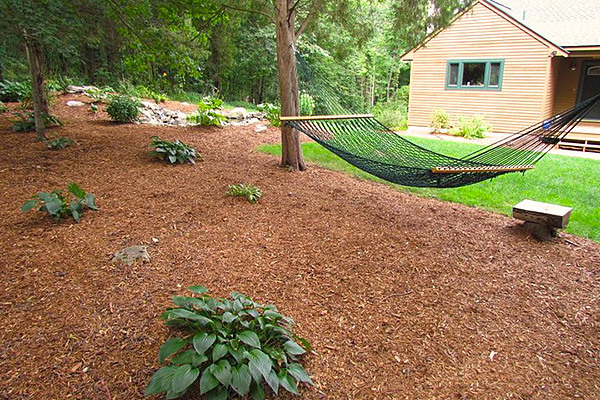 Groundcovers are best used to line flower beds, walkways, and lawns. Shrubs. 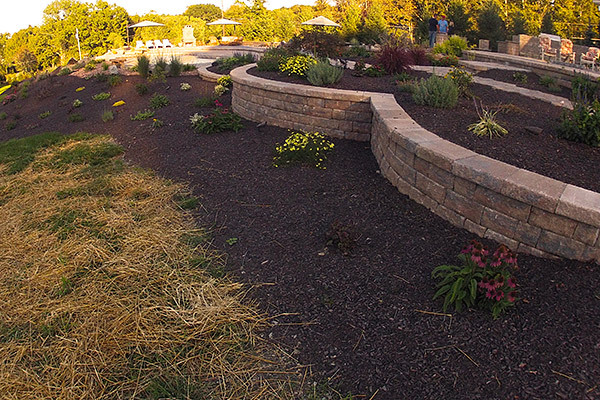 Shrubs are the “backgrounders” of a landscape. 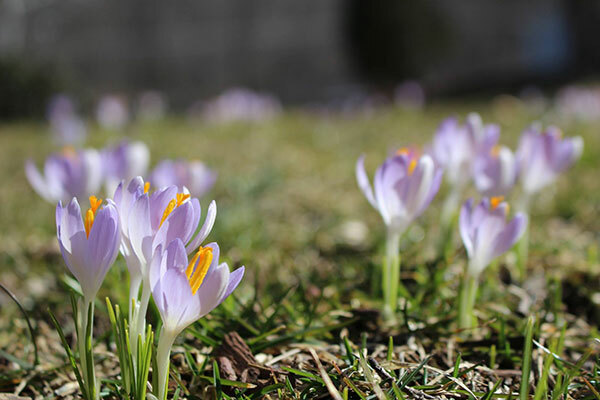 They can be planted in rows to line the side of your home, as a fence, or to separate areas from one another. 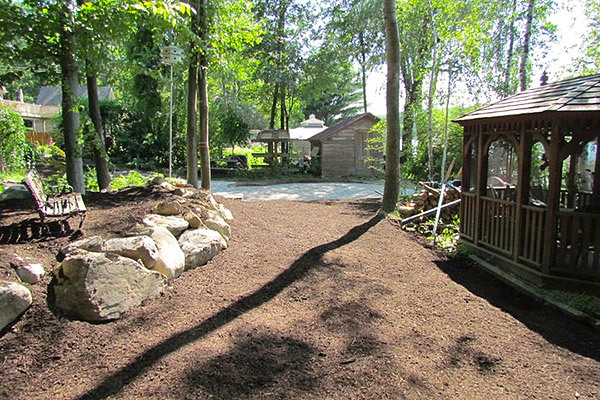 Spice Bush, False Indigo, Alder, and the like are suited for the New Jersey climate. Annuals and Perennials. 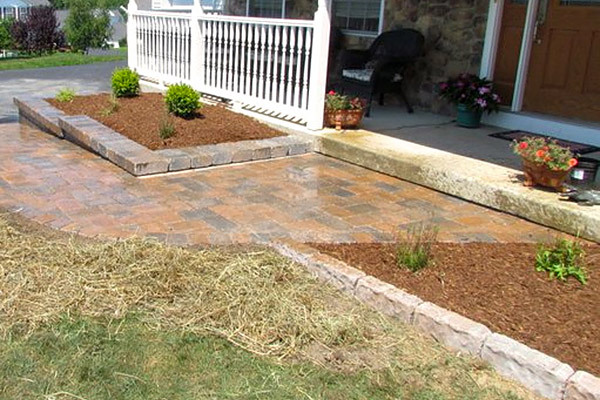 To provide continuous color to any landscape, these plantings must be installed together. 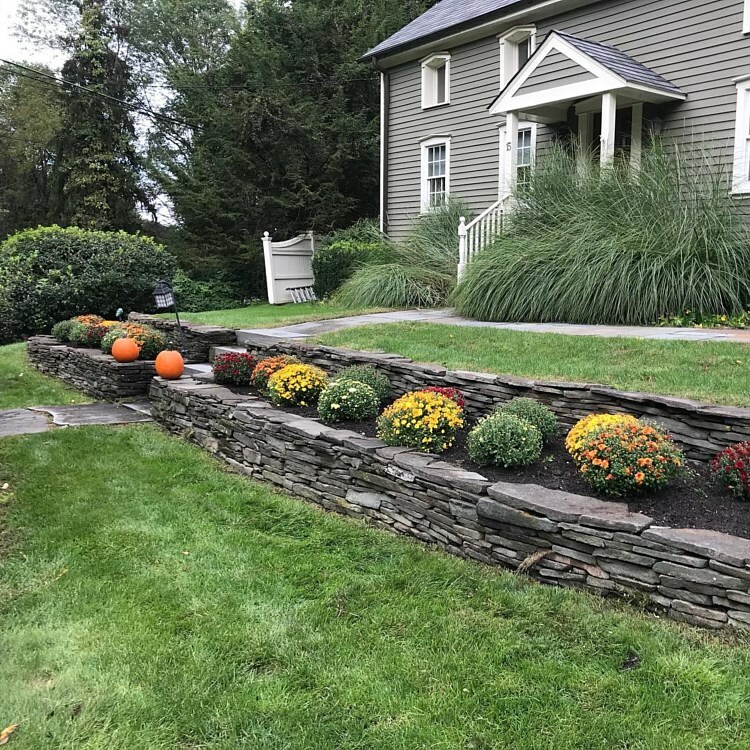 Annual flowers substitute for the lack of color when perennial flowers are off season; while perennials fill in the color when annuals die and have to be replanted. 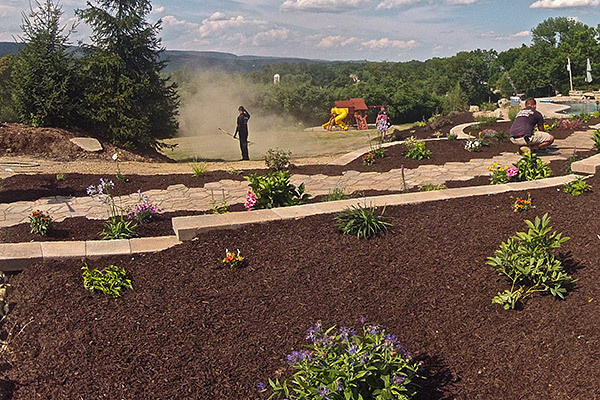 New Jersey is home to Blue Fortunes, Catmints, Asters, and Coneflowers. Small ornamental trees. 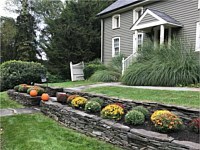 A landscape will look boring without small ornamental trees placed strategically within it. 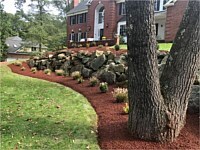 They must be planted near hardscapes and other places where shade is needed. 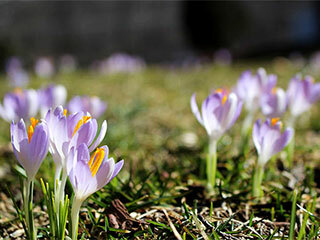 They also provide variety and a charming contrast to small plantings and flowers. Bog Plants. 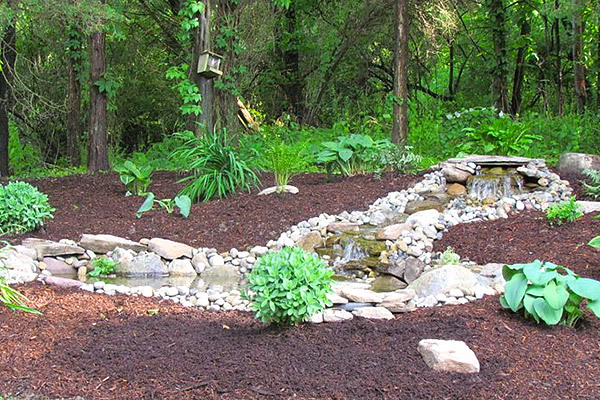 These plantings are best installed near your ponds, streams, or waterfalls. They can make those water features more natural. 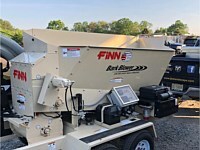 What’s best is that they filter water too. 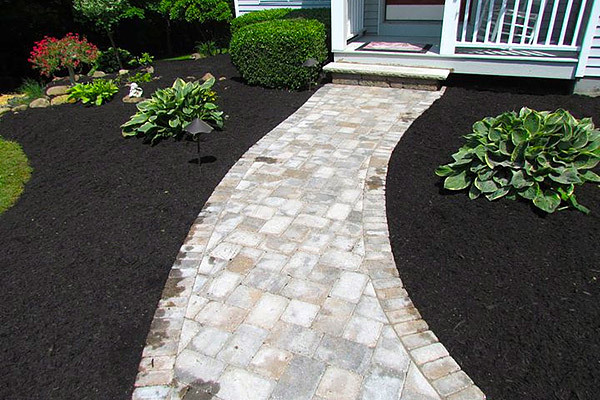 We at JB's Landscaping can provide premium mulching and plantings services to the various areas in New Jersey. 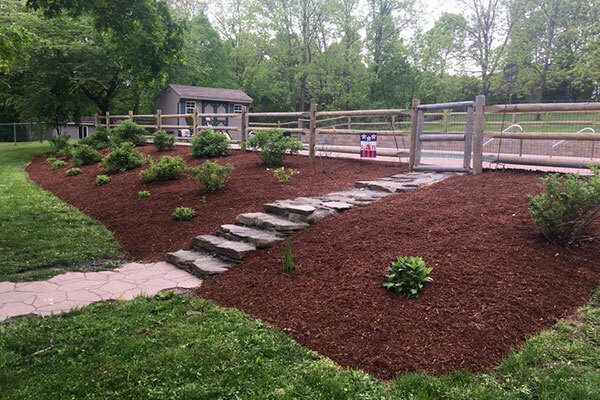 With these landscaping services, you will have a landscape that will produce multi-colored flowers blooming all year through. Of course, such a beautiful and sweet-smelling garden has the added bonus of flocks of birds that will sing their melodies and swarms of butterflies that will flaunt their wonderful wings in gratitude for giving them a nice place to stay. Moreover, you and your loved ones will definitely love the paradise that you can call home. 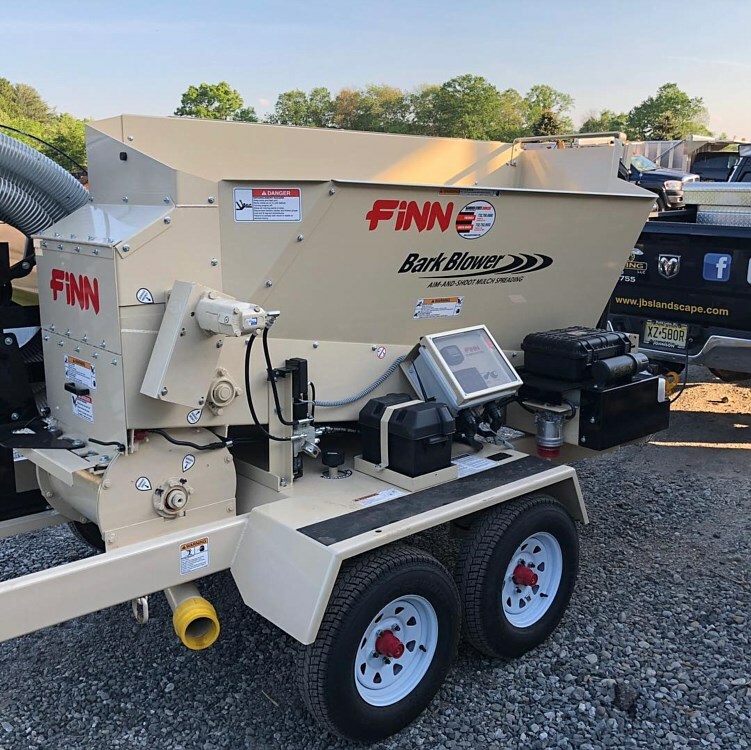 Call us now at (908) 496-4755. We’ll be more than glad to assist you in beautifying your landscape with our mulching and plantings services.